Surf folks everywhere bow down to surf legend Herbie Fletcher, the flamboyant, punky surf star from back in the day. He's also been a longboard shaper, inventor, video producer and art star with a 2013 show at the Hole NYC, a role as surf mentor to his BFF Julian Schnabel and an appearance in a Bruce Weber film. Personal OGs: My father-in-law Walter Hoffman, who was a great big wave rider; Phil Edwards for his innovative surfing and design ideas; and Joey Cabell, who started the Chart House restaurants. I've filmed all the greatest surfers, created the Wave Warriors film series in the '80s, invented the tail patch that helped revolutionize contemporary short board surfing and I've gotten to make art with one of the world's greatest artists (my longtime friend Julian Schnabel). I dropped out of high school, went to Hawaii and surfed my brains out. My wife ran away with me as a teenager and we lived an extraordinary surf life. Also known as "the Medici of action sports," Pat Tenore founded the legendary surf/skate brand RVCA, busting open the SoCal action sports mindset by pioneering a broader, more diverse cultural sport community than OC had ever addressed. His sponsorship of young artists, musicians and creatives connected to surf and skate via RVCA's Artist Network Program was a radical new strategy that changed the streetwear industry. 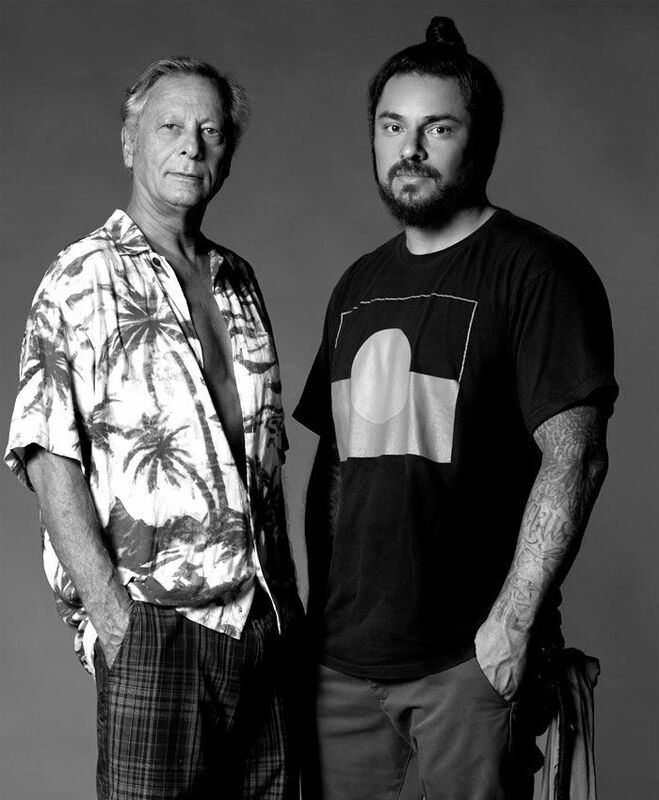 Personal OGs: Shawn Stussy who made me my first custom surfboard when I was 13-years-old. And Casey Zoltan (aka eklips) of Known Gallery in Los Angeles and The World Famous Seventh Letter Crew. Gene Krell and Louis and Jack Shannon from NYC of the Luck You Collective. What has your experience been like with your supporters? It's nice to see people recognize what you are doing and even better when people realize we are all in this together -- regardless of if you are creating it or enjoying it -- it's a lifestyle we are all a part of. Hot Models Playing Soccer? Yes Please. Gronk and Big Papi Try to "Turn it Up," But Did They Succeed?